With the elections on Nov. 4 fast approaching, many states, including Virginia, will elect new representatives for various roles in state and federal government. As the election gets closer, it is important to remember that it is our right, not privilege, to vote. The United States government gives every citizen, who is registered, a right to vote. If you feel you are educated enough to make a decision, go out and vote for the candidate in each role that you feel will bring strength, dignity and integrity to that particular office. 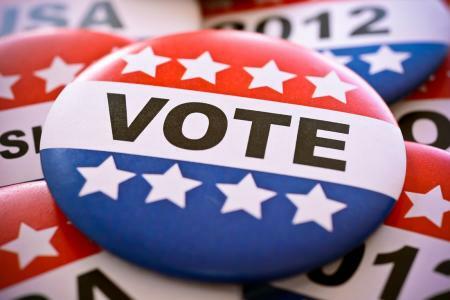 On this coming election day, those who are eligible to vote in the Winchester district can receive rides from campus to the polls through UVote. Wiley mentioned that if you do vote on Nov. 4, you should be aware that you are now required to have photo identification on you when you show up at the polls this year; this is a newly placed requirement as of this year. As young adults, we often do not know our own minds or are still trying to figure out our political views. Often, young adults register to vote with what their parents are registered or what their friends register. If you want to make informed decisions, especially at the polls, obtain as much information as you can, regardless of your parents and friends. Listen to the candidates’ policies and views and conduct research to establish your own views. Unfortunately, for this upcoming election, it is too late to register if you do not yet have your voter registration card. However, you should still register if you have yet to do so. Franklin D. Roosevelt stated, “The full and free exercise of our sacred right and duty to vote is more important in the long run than the personal hopes or ambitions of any candidate for any office in the land.” No matter your political views, always exercise your right to vote when given the chance.